and Frank could be right about so many things. He also made the observation that “PEOPLE are assholes”. A bit of a generalisation there, I fear – but succinct. 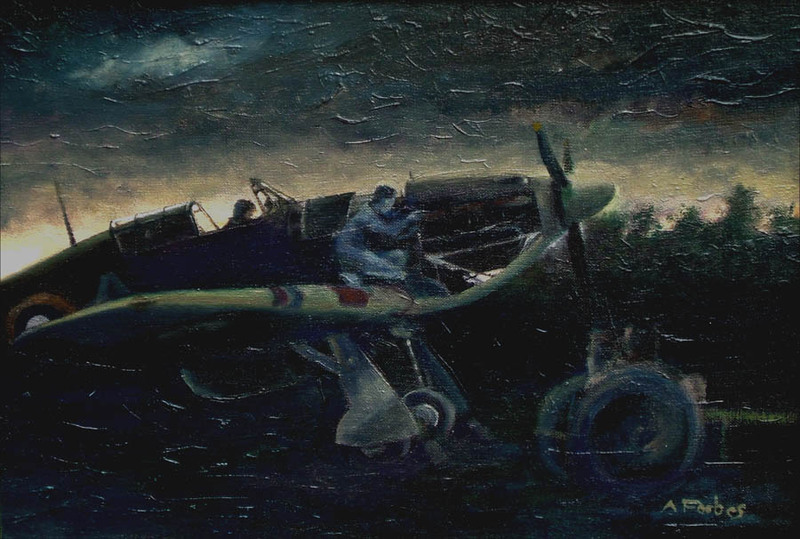 A while ago now, whilst vainly searching for a better way to paint than the photographic – repro type of image that is the norm within accepted aviation art, I managed to cast off my inhibitions long enough to do this. The Trolley-Ack in the foreground is just about recognisable as such. Rejected as a show entry. This Post was posted in Aero Painting and tagged Frank Zappa, Hurricane. Bookmark the permalink.